How To Use Social Data To Get A Meeting! - RingLead, Inc.
2017 was a record year for social selling. You hear about it everywhere, and everyone seems to be using it. How do you become successful? How do you measure success? In sales, the best measurable outcome is meetings booked. So how do you do it? What are the steps to take? The answer is a combination of human and technology. Combine the two correctly, and you will become a sales machine. Rapport: Be genuine and don’t fake it. Find something in common. First, we will assume that you have the data necessary to connect. It may seem like overload; too much data, and no plan, brings inaction. In fact, this is often the first problem faced by sales reps. If you can’t stand football, and it is obvious from your prospect’s twitter feed that they are a raving fan, you should probably stay away from that topic. Read something every day about your industry. Be prepared to enthusiastically share that information. Make a list of your interests. Build a set of keywords for each of your interests. Seek people that share those interests. Share. If your teammate went to the same school as that CEO your are trying to reach, don’t underestimate the power of a shared background. Territories and segmentation are necessary in a growing sales org, but don’t ignore an obvious advantage. Lead with commonality. Simple rule of thumb; when you do outreach, seek rapport first, then do your sales pitch later. Leave a fantastically, enthusiastic voicemail. Often, you won’t get your prospect on the phone on the first try. When that is the case, leave a voicemail leading with something rapport building. Connect socially and send an email. Process: Make a plan. Do the work. Ask. Know the quantities of data you will need for your goals. If you need to make 50 quality outreaches per day, that means 50 fully researched prospects. Do your research ahead of time. Use technologies like DMS Capture that can research 1000+ contacts at one time. Make your CRM “social ready”. Your CRM is ready if it has fields to track your social outreach progress. The same goes for your marketing automation system. 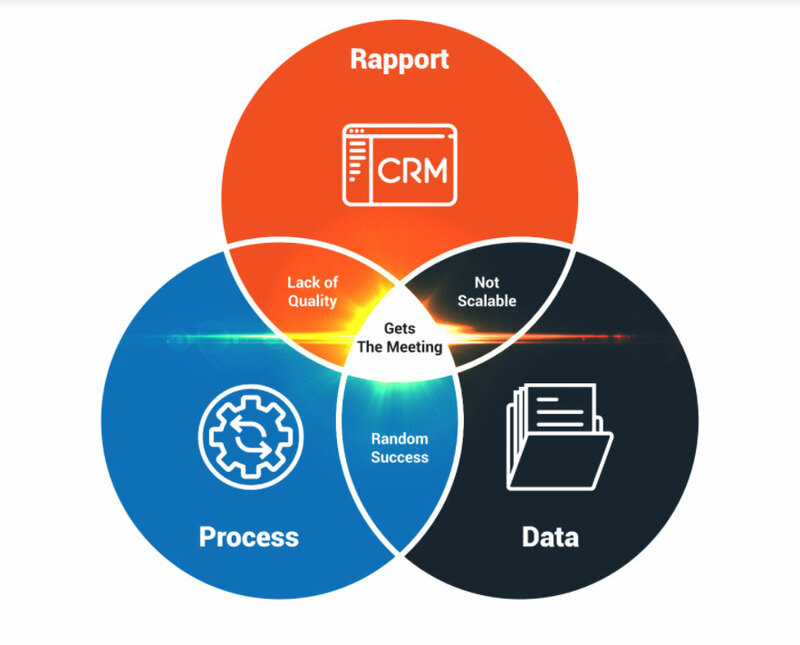 Get the data into your CRM. A single social outreach, just like a single phone call, will not usually yield results. If you can track it, you can measure the success of it. Don’t forget to ASK for the meeting. Data. Don’t forget the data. Collecting the right data will make all the difference, (this is where DMS Capture comes in). Starting with as little as a name and company, DMS Capture will provide contact-centric data such as emails, titles, social profiles, phone numbers, including mobile and direct dial, in real time. DMS Capture also returns company-centric firmographics, allowing marketers to segment data for effective outreach campaigns.